Custom designed rings of any style for all occasions. 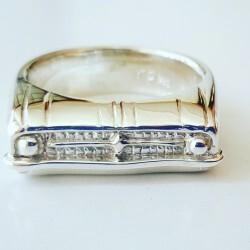 Specialist automotive dress or wedding rings for car lovers. Engraved tyre tread, wrap around silver or gold cars, unique hot rod or classic muscle car front end grill rings... the options are endless. 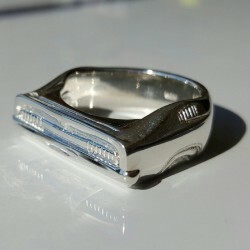 Black IP Plated Tungsten Ring & Etched Tread. Something very unique and new for the car and motorbike lover out there. Deep Bronze tone with black tread pattern on the bronze. Designed by Karen Ryder. Please advise of your ring size so that we may send you the correct fitting ring. Bands are 12 mm wide so allow for half to a full size larger for your finger. A ring sizing reference sheet is available from our site to assist if you are unsure of the size of your finger. When considering the correct size that you require remember that in winter your fingers will be slightly smaller and in summer slightly bigger. All sizes are available however some may not be in stock at the time of ordering. 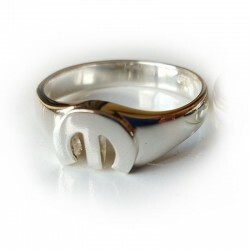 Also available is a similar design in Gold Plate or Tungsten Silver with the same etched tread pattern. 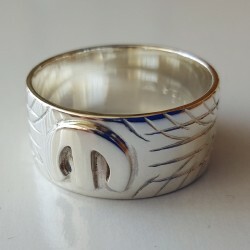 Muscle, Drift, Race, Sports or Classic themed car, truck and bike rings. Miniature Front ends and grilles of cars in a ring format. 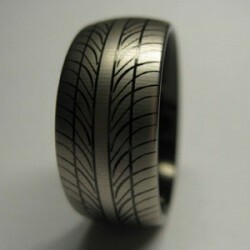 Tyre Tread ring - Black IP Plated Tungsten Ring & Etched Tread. Deep Bronze tone with black tread pattern on the bronze. Designed by Karen Ryder. 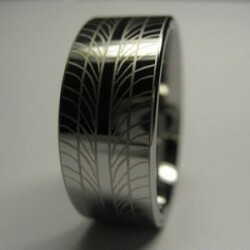 Tyre Tread ring - Bright Silver toned Tungsten Ring & Etched Yokohama S Drive inspired Tread. Designed by Karen Ryder. RPM Jewellery. 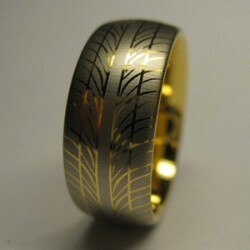 Tyre Tread ring - Gold Plated Tungsten Ring with an Etched Yokohama S Drive Tread Pattern. Designed by Karen Ryder. RPM Jewellery. 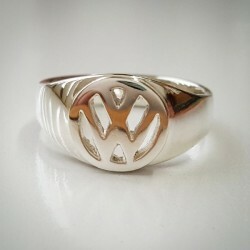 Chunky MoPar "M" Tyre Ring individually made from Solid Sterling Silver with a raised logo and hand engraved tread. Select from either a gold or silver M. Made in Australia by Karen Ryder. "Hey Charger!" .... Iconic Aussie Muscle Car, Valiant Charger XL, 770, R/T E38, E49 Small tank Rear-end Ring in Solid Sterling Silver or 9ct gold. Handcrafted and designed by Karen Ryder in NSW, Australia. HQ Premier Holden Grille Front end Ring modelled on the front end and grille of the classic HQ Holden from RPM Jewellery. 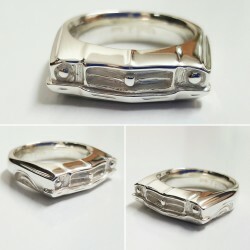 A seriously Australian Holden ring style to suit the serious HQ aficionado. Handcrafted and designed by Karen Ryder in NSW, Australia. 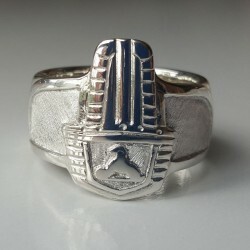 Aussie Muscle car - FJ Holden Badge and Grille Ring in a chunky solid sterling silver design. Made in Australia.